Firstly, many thanks indeed to all who have offered prizes for a future charity fundraising raffle. I’m very grateful, however I am restricting to prizes in my gift on this occasion as it is to mark a specific event in Laura’s cancer journey. That said, I have something more expansive in mind for when I have a bit more time, and will be in touch later in the year. Laura’s arduous treatment for kidney cancer was concluded in January 2017, just before her 10th birthday. She has recovered well and today had her second anniversary check-up at Alder Hey. We are elated that she remains cancer free. 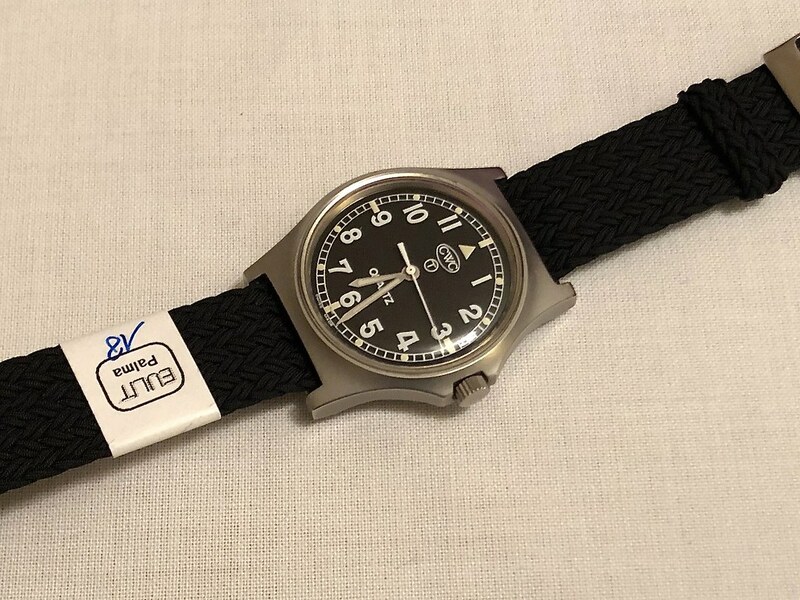 To celebrate this milestone I am offering my 36mm Smiths Everest in a raffle to support Nicola’s Fund, an organisation that has provided immense support and enjoyment to Laura and numerous other children during their treatments and ongoing recovery, as well as to their siblings and wider family. Nicola faced cancer with high sprits and laughter, and it was her wish that as many other children as possible should be able to do the same. The annual Christmas party at Chester Racecourse is just one example of the joy that Nicola’s legacy brings to many. As usual, I’ll add a consolation prize or two along the way. Please include your TZ-UK user name in the comments if it's not obvious. Feel free to take part multiple times, and if you are not interested in the prize you are welcome to donate anyway! I intend for the winner to treat the watch in exactly the same way as if they had bought it themselves, including selling it on SC at the going rate if it’s not for them. I’m sure it would be snapped up quickly. Laura will personally draw the winners on World Cancer Day, Monday 4 February. World Cancer Day is an occasion to show unified and positive support for everybody affected by this appalling disease. A day to remember that that access to life-saving cancer diagnosis, treatment and care should be equal for all. 36mm Smiths Everest PRS-25 purchased by me through TZ-UK specifically for this raffle. Mint on arrival, and I’ve only taken it out of the case to check it over and take photographs. Warranty card dated 25 December 2018. Seiko SKX009K with Strapcode Super Oyster Bracelet. 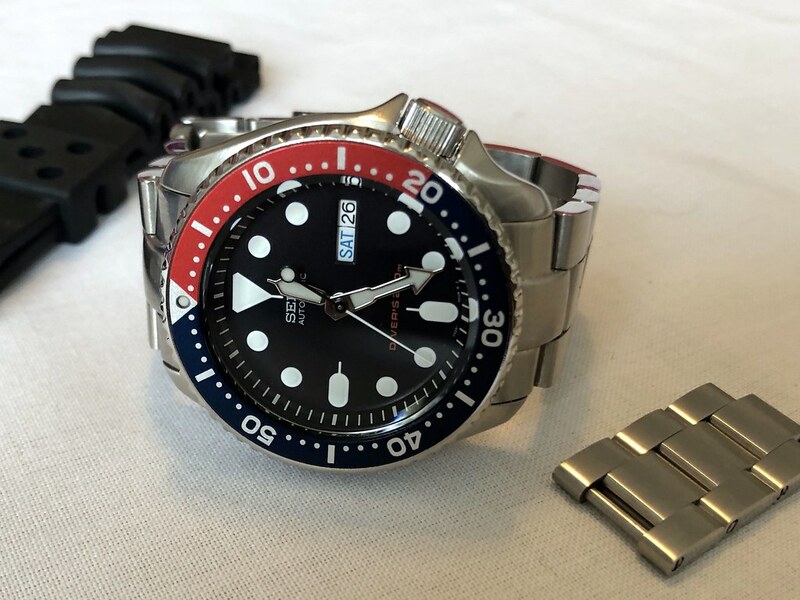 I'm sure that SKX009 needs little introduction here, it is a very highly regarded timepiece and popular with modders. This example has French as the second date wheel language. 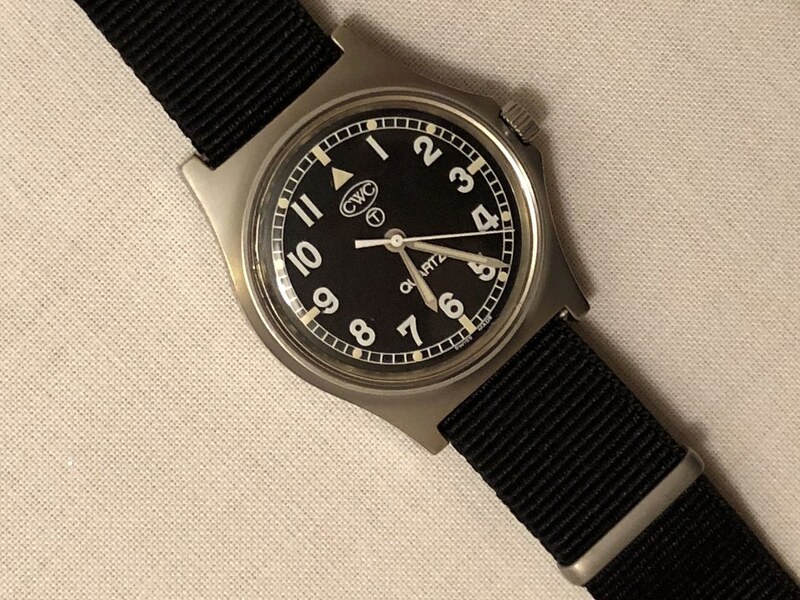 The watch was new when I bought it in 2015 and has been worn very occasionally. It is still pretty pristine with just the odd strap changing mark as far as I can see. It has always kept good time. The Strapcode Super Oyster bracelet is also well known in these parts and is very comfortable. It is currently sized for a 6.75" wrist and comes with three spare links which I think makes it full length. 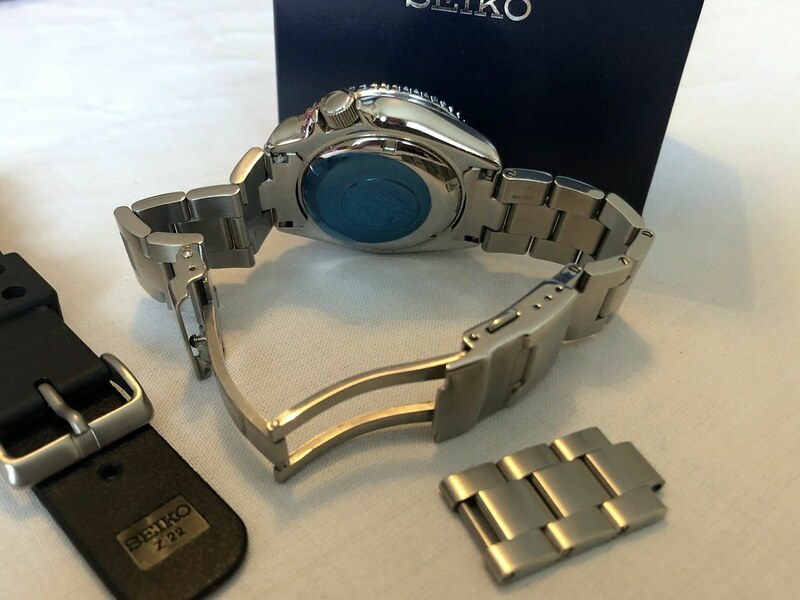 The original Seiko rubber strap is included, I think I only tried it on once. I must have the instruction manual somewhere but I've no idea where! CWC G10. Dating from 2004, in pretty good nick with some minor swirlies on the crystal, some tiny nicks around the case and a bit of strap rash. Overall a good honest example that will serve the new owner well. 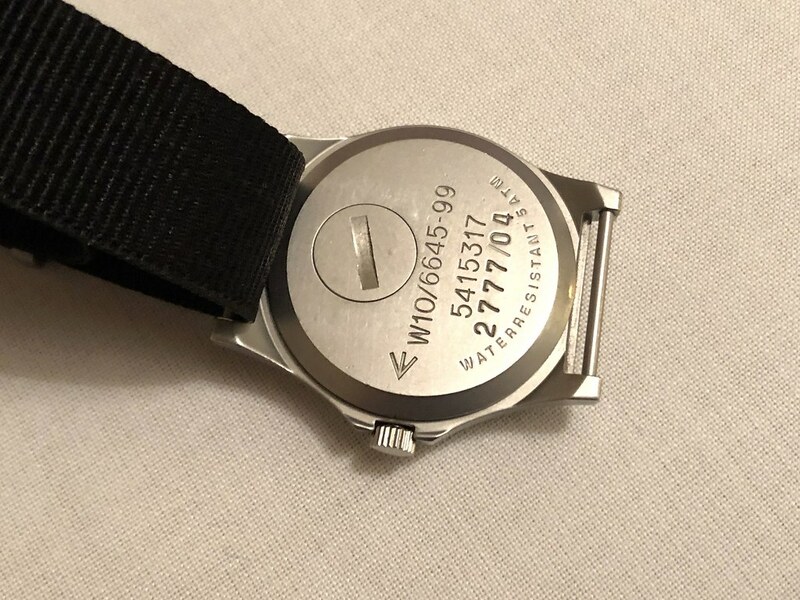 I've put a new battery in today, and it will come with virtually unworn black NATO and black Eulit 'Palma' Perlon straps (both 18mm although the lug width is 19mm). Our sincere thanks as ever to Eddie for making this possible. I'll update the list below as often as I can, roughly in the order that posts and donations appear. The list will not become final until just before the draw. Last edited by Mr Curta; 11th February 2019 at 19:20. 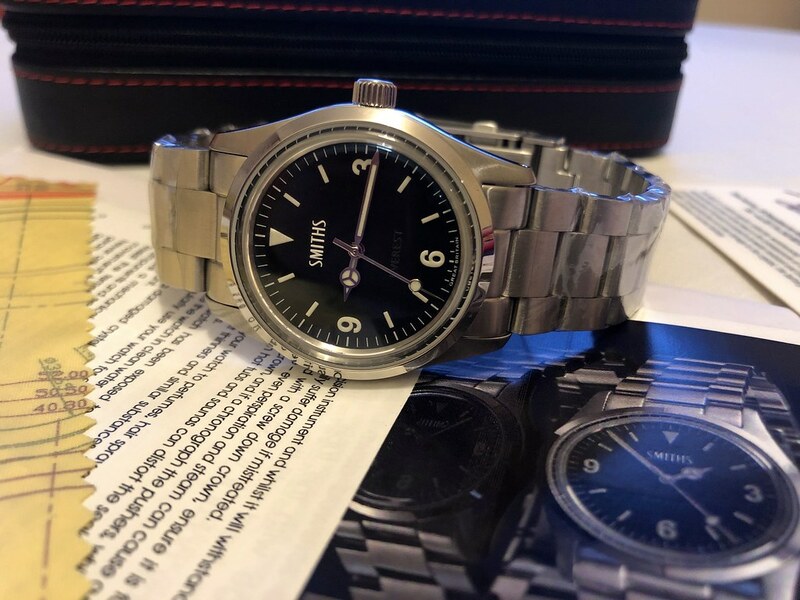 Win an as-new 36mm Smiths Everest PRS-25, Seiko SKX009 or CWC G10. All proceeds go to Nicola's Fund. Last edited by Mr Curta; 2nd February 2019 at 20:41. I have just wasted my usual £10. Shame Laura is drawing the winner - she never picks me. Wait until I get my hands on her. I lost a relative to cancer last week and unfortunately it looks as if I may loose another one in the next few days so any funding raising to help beat this disease is fine with me. Lovely gesture, wishing you and your family all the very best. Done for a good cause. Best wishes to Laura for her continued good health. I’m in for two, Done for a good cause. 3 for me, donated and gift aided. Im in for four, nice act and a good cause. Three goes for me. Best wishes to you and your family for 2019. 3 for me - excellent cause and all the best to Laura! Four for me please Matthew. In for 2 please. Wishing you and your family all the best. Four for me please Matthew. Best wishes for 2019. Superb! I’ll go with two also. Absolutely stupendous response, many thanks to everyone for the fantastic support already. Very happily it has been quite a challenge keeping the list up to date! I think that it is all correct but if anyone has been overlooked please drop me a message. Delighted to have donated for 4 tickets. Delighted to hear of Laura's ongoing success. Sorry about that, I got myself confused because someone kindly made an anonymous donation at about the same time as you posted. There has been a marvellous response and I've found it difficult to keep up at times! I've added your other two now. P.S. If whoever popped a tenner in at around 9am this morning wants to be in the draw please drop me a PM. Last edited by Mr Curta; 22nd January 2019 at 22:03. Reason: P.S. Two entries for me please, I've just donated. So glad to hear things are still going well, with a 5 year old (6 on Thursday) and a 14 week old I can't imagine what you've all been through. I'm in for two entries. This is actually my first post here, but I've been over at WUS for several years using the same moniker and have a whopping 111 posts on that forum. I've spent the last three weeks staring at the 36mm Everest, but have myself on a spending freeze after a crazy holiday season. The new Everest is firmly at the top of my want list and will be the first automatic that I have purchased new. I'd be happy to win this watch, but just as happy to donate to a good cause and then purchase the watch later. To Matthew and family, I've just gone through trying to catch up with your story, but am very happy to see it looks like you are in a bright place now. I've had several friends and family members that I've helped in their battle with cancer, so I have at least a small understanding of what you might have gone through. I play in a rock band that teenagers tend to like if you'd like me to send some music. Best wishes for continued health and happiness from Denver, Colorado. To Eddie, if you happen to see this... 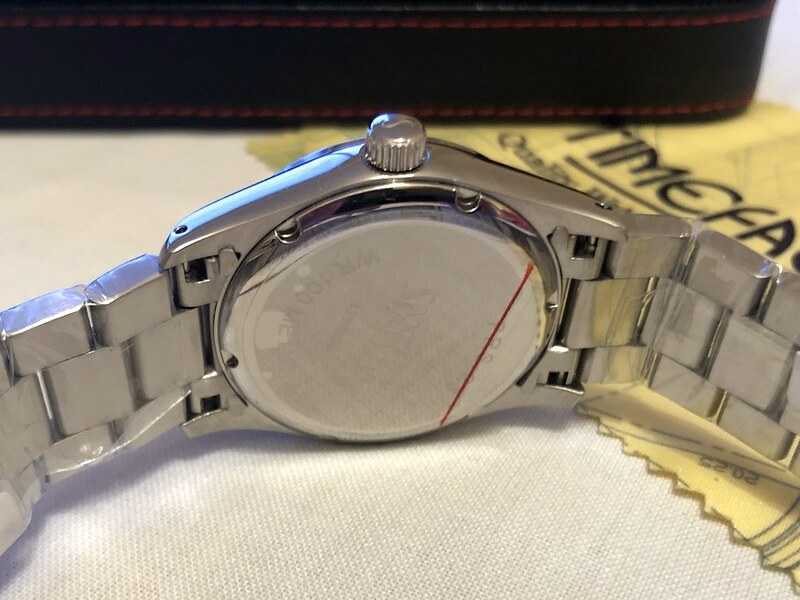 Thanks so much for your contributions to the watch community and an even bigger thanks for moving forward with the 36mm Everest. I wasn't paying attention to this forum until earlier this month or else I would have already ordered one before Christmas. Hopefully stock will hold out until I can make the purchase, but one way or another, there is an Everest in my future and likely a PRS-29 to follow. Keep up the good work, you are much appreciated. Last edited by longsk8; 24th January 2019 at 00:44. In for one, with best wishes to Matthew, Laura, and family, and thanks to Eddie. My word, what a lovely first post. Welcome to the forum, it's always nice to see members who contribute from other time zones! Despite being based mainly overseas in recent years I'm an avid listener to 6 Music, Radcliffe and Maconie was my morning show before the BBC radio reshuffle. Anyone that JP had on can't be bad, I'll be in touch by PM. There's a more detailed thread about childhood cancer and Laura's journey but it's in a part of the forum that isn't accessible until you have sales corner posting rights. There are snippets in previous fundraising threads - you are quite right that she's doing really well now and there are just a couple of long term side effects from the treatment. Great news - two for me please donation just made thank you. Well done Matthew, and best wishes. In view of the fantastic response and that the initial target has been surpassed so quickly I'll be adding a pretty decent second prize at the weekend. I think @longsk8 has just said it all for me. Matthew, glad to hear you’re on the home stretch and things are looking up. Can’t imagine the road you and your family have been down. Eddie, what a great forum and product has developed here and love the opportunity for feedback and communication regarding your products. Brilliant Dean, welcome to the forum and many thanks for the support. I spotted your donation but couldn't find you in the Member List at first! Four tickets for me please and congratulations on another successful event! Hi Matthew, I snaffled a couple. Hi Matthew Great news on the two years. Great news, wishing you all the best. I'm in for 2 please. Splendid stuff! A Peter Webb donated yesterday but I can't identify a member, if you would like to be in the raffle please drop me a message. Count me in for 6 please Matthew. Will sort the donation out when I get home later. Great cause and good luck for the future.